The most dominant baseball pitcher of his time, Sandy Koufax played for the Brooklyn and Los Angeles Dodgers from 1955 to 1966. He was the first pitcher in Major League Baseball to hurl four no-hit games, including a perfect game in 1965. Koufax won the Cy Young Award (baseball's most prestigious pitching honor) three times in four years (1963, 1965, 1966), won the earned run average (ERA) title five consecutive seasons (1962-1966), won 25 or more games three times, had 11 shutouts in 1963, and tossed 40 career shutouts. The legendary southpaw was the Major League strikeout leader four times, including a record 382 strikeouts in 1965, 2,396 career Ks, and had three seasons with 300 or more strikeouts. 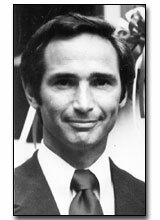 In his final season, Koufax was professional baseball's highest salaried player, and led his team to the World Series with a 27-9 won-loss record, with a 1.73 ERA. The “legend of Sandy Koufax” includes at least two times when he did not pitch games he was scheduled to pitch because they conflicted with the Yom Kippur holy day. The first occurred in 1961, when it is said that Sandy asked not to pitch, as scheduled, on the Day of Attonement. His request was granted, and Dodgers manager, Walter Alston, learned something he didn’t need to be reminded of twice. Four years later, the first game of the 1965 World Series against the Minnesota Twins was to be Sandy’s starting assignment. But, Alston, out of respect for his star southpaw, flip-flopped Don Drysdale into Sandy’s spot, and Koufax into Drysdale’s second game starting assignment. The Dodgers lost both games. Nevertheless, the seven-game Series had a storybook finish. Drysdale won the fourth game, and Koufax won the fifth and deciding seventh game with a pair of shutouts, leading the Dodgers to a Series victory. Severe arthritis in his pitching arm forced Sandy to retire while at the top of his game, following the 1966 season. He was elected to the Baseball Hall of Fame in Cooperstown in 1972, the first year he was eligible.